The Hidalgo County District Attorney’s Office filed paperwork Tuesday to revoke a man’s probation after he was charged Saturday with allegedly murdering his girlfriend. Mateo Fabian Garza, 41, was arraigned on a murder charge over the weekend after his girlfriend, 41-year-old Melinda Garza, was found dead in a San Juan home Aug. 16. Melinda’s daughter called police to conduct a welfare check on her mother, who family and friends last heard from Aug. 15. The preliminary autopsy report determined Melinda’s cause of death to be asphyxia, “with evidence of strangulation and blunt force head trauma,” according to a criminal complaint the San Juan Municipal Court released Tuesday. Mateo Garza confessed to her murder, the complaint notes. He was serving a 10-year probated sentence at the time of the murder, having pleaded guilty in January 2016 to an assault against a family/household member with a previous conviction felony charge stemming from a July 2015 assault against a then-girlfriend. According to the offense report tied to that assault, Garza grabbed her wrist, struck her chest and punched her on the back during an argument over her cellphone. 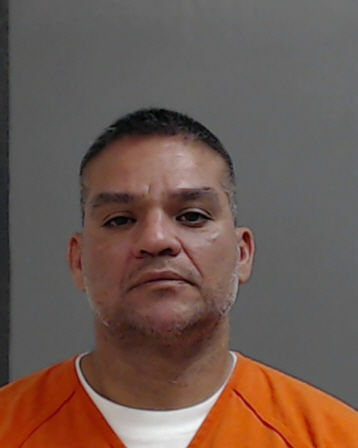 The third-degree felony carried a prison sentence of two to 10 years, and in exchange for his guilty plea, then-District Judge Rodolfo “Rudy” Delgado sentenced Garza to 10 years in prison, which the judge suspended to 10 years probation. One of the conditions of probation was that Garza not break laws and “avoid injurious or vicious habits,” according to court documents. The DA’s motion to revoke his probation noted that Garza had failed to report to his community supervision officer on numerous occasions, most recently in May and July of this year. District Attorney Ricardo Rodriguez said Tuesday that at the time of Garza’s 2016 sentencing, the DA’s Office pushed for him to serve time in prison, hence why prosecutors did not enter into a plea agreement with Garza’s attorney. “It’s the judge’s discretion to probate (a sentence),” Rodriguez said. One factor in prosecutors’ decision to not enter into a plea agreement was that Garza had a previous assault causing bodily injury misdemeanor charge stemming from a December 2014 incident with a then-girlfriend. In that incident, Garza punched the woman’s face, causing her to lose consciousness, when she tried to intervene during a verbal dispute between Garza and her cousin, according to the offense report. In May 2015, County Court-at-Law Judge Arnoldo Cantu Jr. accepted Garza’s guilty plea for the 2014 assault and sentenced him to six months of probation as part of a plea agreement between prosecutors and Garza’s attorney. Following Garza’s arrest for the July 2015 assault, his probation was revoked in September of that year and he served the remaining 81 days of the probated sentence in county jail. Rodriguez said the DA’s Office would push for Garza to be sentenced to the maximum 10 years on the assault with a previous conviction charge at the revocation hearing, something that won’t happen until the murder case against him is closed. “I can tell you that we will prosecute to the fullest of our ability,” the district attorney said in regard to the murder and assault charges. Once San Juan police finish their investigation into Melinda Garza’s death, the case will be given to the DA’s Office, which in turn will present it to a grand jury to determine whether there is sufficient evidence to indict, or formally charge, Garza with the first-degree felony, which carries up to a life sentence in prison if convicted. Because a motion to revoke his probation has been filed, Garza will remain in custody at Hidalgo County jail even if he posts his $2.5 million bond, Rodriguez said.